In my opinion, President Obama's tilt towards the Palestinians is rooted in ideology, a considerably softer version of the ideology espoused by Jeremiah Wright . The facts that matter to this president do not pertain to the PA's intentions. Rather, I suspect the key facts are these: compared to Israelis, Palestinians are downtrodden and non-Western. They are what leftist academics call "the other." And promoting the interests of "the other" is a big deal for Obama -- indeed, this imperative seems like the closest thing he has to a religion. If I'm right, then Netanyahu will never be able to placate Obama. And he should not try. Operation Entebbe was a counter-terrorism hostage-rescue mission carried out by the Israel Defense Forces (IDF) at Entebbe Airport in Uganda on July 4, 1976. A week earlier, on June 27, an Air France plane with 300 passengers was hijacked by Palestinian terrorists and flown to Entebbe, near Kampala, the capital of Uganda. Shortly after landing, all non-Jewish passengers were released. 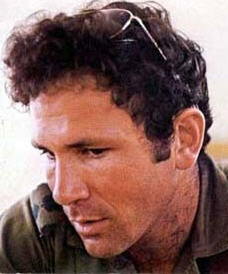 The IDF acted on intelligence provided by Israeli secret agency Mossad. In the wake of the hijacking by members of the militant organizations Revolutionary Cells and the Popular Front for the Liberation of Palestine, along with the hijackers' threats to kill the hostages if their prisoner release demands were not met, the rescue operation was planned. These plans included preparation of armed resistance from Ugandan military troops. Led by [a] 30-year-old commander ..... the operation took place under cover of darkness, as Israeli transport planes carried 100 elite commandos over 2,500 miles to Uganda for the rescue operation. The operation, which took a week of planning, lasted 90 minutes and 103 hostages were rescued. Five Israeli commandos were wounded and the only death was of [the] commander... All the hijackers, three hostages and 45 Ugandan soldiers were killed, and 11 Russian-built MiG fighters of Uganda's air force were destroyed. A fourth hostage was murdered by Ugandan army officers at a nearby hospital. The dead Israeli commander was Yonatan Netanyahu, the older brother of Benjamin Netanyahu whom Obama, Community Organizer in Chief, hosted with open contempt last week. Things change.